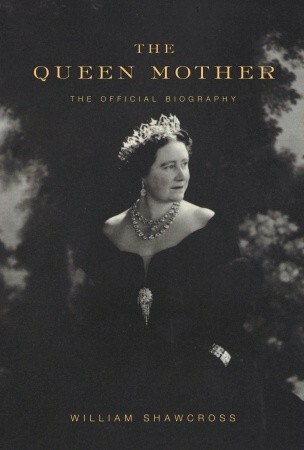 The thing that stands out most to me is the small print about this being the official biography of Queen Elizabeth, The Queen Mother. Shawcross states as much in the introduction that Queen Elizabeth II asked him to write this biography. Which means that this is pretty biased towards her. It glosses over the nasty things. Such as Diana, the Queen Mother’s reported alcohol abuse (although reading up on it a bit, I don’t see it as abuse), and her intimate thoughts on things. It’s pretty clean. It keeps calm and cool and diplomatic, just as she was in her public life. So, that’s important to remember. This is a biography that her daughter asked the author to write. But, honestly, I really liked this book. I found her life interesting beforehand because of the circumstances of it. She was never going to be a queen. Never. She married Albert and then, because of his brother, Albert became George VI and history changed. And then her husband died so young, leaving her widowed and she lived half of her life without him. That’s crazy and fascinating to me. The Queen Mother was a fascinating woman. She had such life, such vivacity. She lived through two huge wars, members of her family dying in each. She became something that she never expected in her life. And she handled it all with such grace and was a role model for so many people because of how she was. Sure, I don’t agree with her conservative views, but I still think that she was a fantastic woman someone can look up to. I hope that I can hold my head up, find humor in all things, and enjoy life fully like she did. I’m very glad I read this book, even if I wish it had gone more into how she felt about huge points in the history of her daughter’s reign. Would I reread this? Maybe. Maybe one day when I want to delve back into her life because she had a great one that she lived to the fullest. What historical figure do you look up to? Thank you!! This is a pretty exhaustive biography. Like, nearly 1000 pages. If you pick it up, I hope you like it!